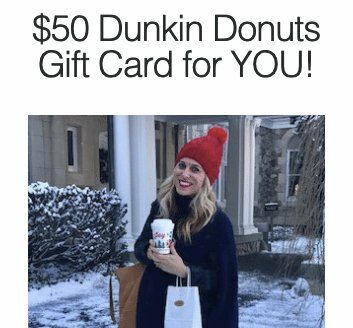 $50.00 Dunkin Donuts gift card giveaway. $50 should set you for a couple of weeks! Log in to enter now.